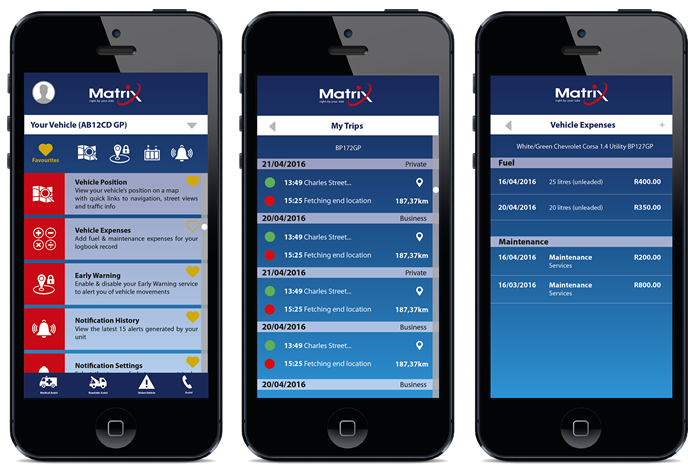 Matrix’s innovative features come to life with the industry leading Matrix Smartphone app that offers you a convenient solution to track and monitor your car from any place, at any time. Now, you can also monitor how your car is being driven and keep it protected with GeoLoc Advanced Alert – right from the palm of your hand. 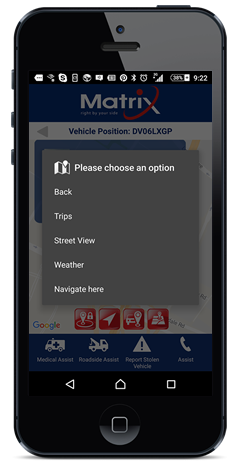 With the best-in-class smartphone vehicle tracking app, you can view your vehicle’s location on a detailed map with pinpoint locations, view traffic information and select a street map view of your vehicle’s surroundings. 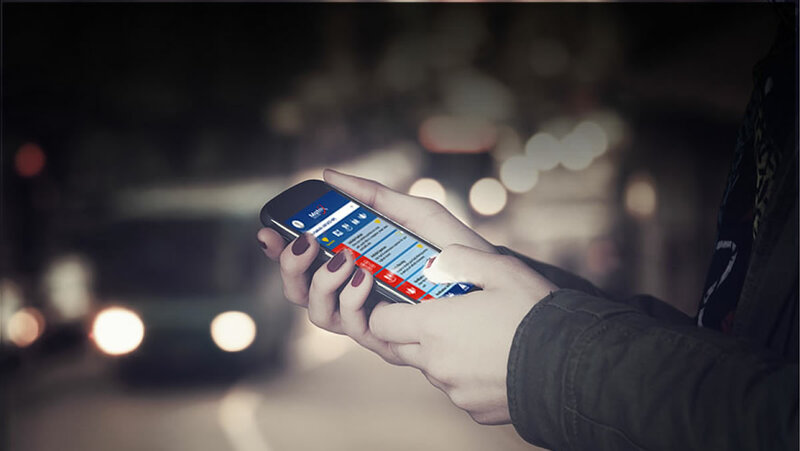 The GPS enabled Matrix Smartphone vehicle tracking app links to your mobile phone’s navigation, allowing you to plan routes and send directions from your smartphone to your vehicle or to another vehicle tracked on your account. 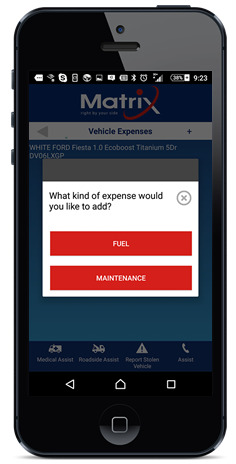 Easily log your business and private trips as well as your vehicle expenses for ultimate convenience during tax season. The tax logbook and expense management system generates automated South African Revenue Service (SARS) compliant logbooks that you can retrieve and submit for your travel claims. 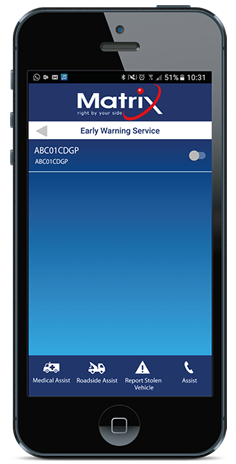 Enable and disable the GeoLoc Advanced Alert feature via the Matrix Internet Tracking App. You will receive an alert if your vehicle is moved from that location while this feature is enabled. 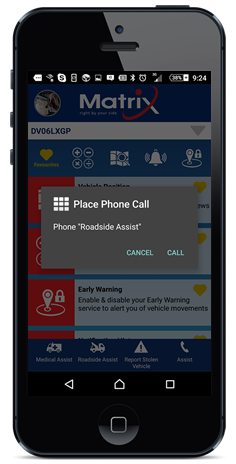 With the latest in GPS technology, one-touch access via the Matrix smartphone app provides emergency roadside and medical assistance, including ground response teams who will be dispatched to your exact location. Matrix is always right by your side when it matters most.